Storing wine at the recommended conditions is important if you want to enjoy it. The best way to store wine is in a wine cellar. Wine cellars, however, are very expensive to have. A great alternative for it would be a wine cooler for the perfect temperature. But then again, not everyone has the fortune of having the space required to put a large wine fridge. This is where an under counter wine cooler comes in handy. 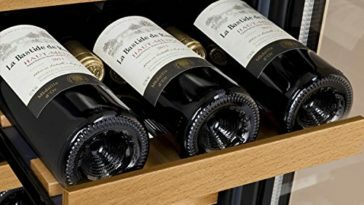 An under counter wine cooler is ideal if you are looking to display and store wine bottles conveniently while saving on space and without having to break the bank. It is very lavish and adds a classy touch to your home or office. However, choosing the right one will depend on different factors since they come in different variants. The market today is full of under counter wine fridge assortments all with different features and storage capacities. 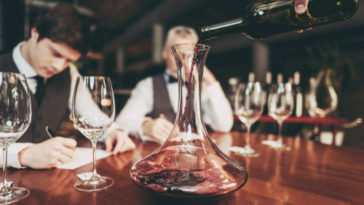 As such, choosing the right one can be an overwhelming process particularly if one is not a wine connoisseur or a sommelier. 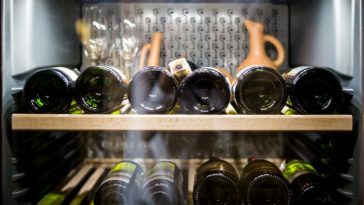 This is because you will need to know wine storage conditions, technical jargon associated with wine cooling, and the specific features to look for in the best under counter wine fridge. But am here to help. 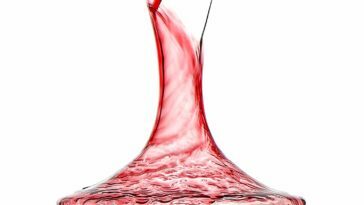 My under counter wine cooler review looks at what they are, why you need one, and how to choose the best. 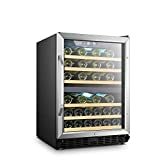 Furthermore, I have reviewed 3 of the top wine coolers that are popular in the market today to help you get the best under counter wine cooler suited for you. Why buy an under counter wine cooler? 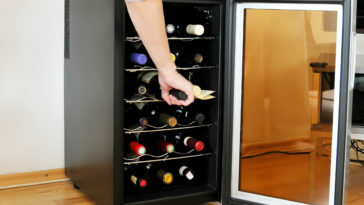 An under counter wine fridge provides the required temperature for wine cooling in a very convenient setup. The best feature about it is that it takes up very little space, which is great for people with space limitations. With its size and configuration, it can even be fitted into small spaces underneath your counter. This makes it less intrusive as compared to a full-size model. As a result, it is perfect for bars, kitchens, offices, and other establishments that might have a limited space. With the modern smart kitchen craze that has been going around, you can be sure that an under counter wine cooler is one of the appliances required to this end. It brings style and sophistication to your space. Under counter wine coolers come in various designs and finishes, which means you can choose one that goes with your décor from the wide array available. 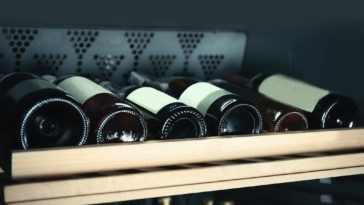 Different holding capacities are available on different under counter wine coolers, meaning that you can store different bottle sizes and types. This capability is attributable to the various shelving options available in the market today. An under counter wine fridge stylishly shows off your wine collection in addition to storing them for a long time. 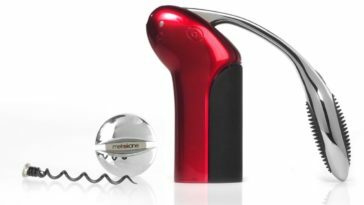 The fridge allows you to keep your wine at a place that is easy to reach and at the best condition. Single and dual temperature zones wine coolers are also available for different types of wine. If you like to store different types of wines i.e. red, white, and sparkling, it is best to get a dual zone under counter wine fridge. 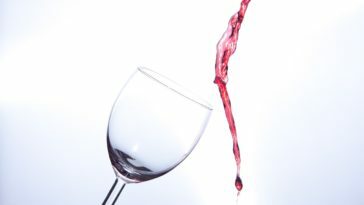 This is because different wines have different temperature requirements to achieve the perfect taste. Having an under counter wine cooler with several temperature zones allows you to store different types of wine in one fridge. This means that you do not have to buy two wine fridges to keep different types of wines. 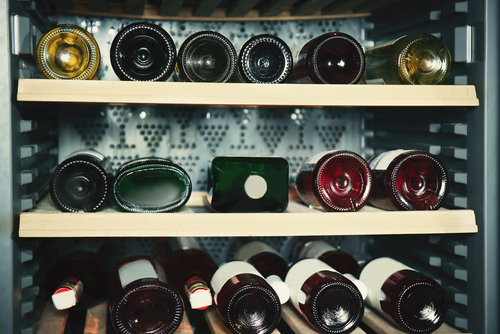 Before buying an under counter wine cooler, you need to know how many bottles you need to store in there. A small collection will require an under counter wine fridge with a smaller capacity. On the other hand, wine enthusiasts with large collections might opt for a bigger one. The space available under your counter will determine the size of the under counter wine cooler you will get. You also need to consider the weight of your cooler for installation purposes. This means that you cannot settle for a large fridge if the space under your counter is small. 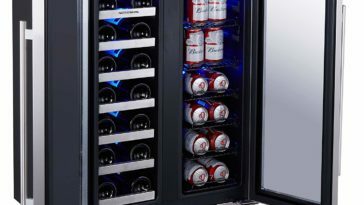 It is obvious that you will want your under counter wine fridge to blend in with the rest of your décor. Thankfully, the best under counter wine fridge brands come in different color schemes, which means that you could pick the one that works best for your style. Solid colors are available in stainless steel, black, or platinum. If you are looking for a warmer color, you could go for one with a glass front because it is available. Important also is that the door color should also be functional to keep out harmful UV rays, which can damage your wine. Numerous under counter coolers have reversible doors. The reversible doors allow you to adjust the direction that your door opens for increased flexibility. 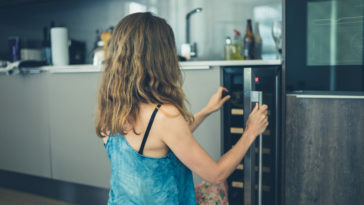 When choosing an under counter wine fridge, go for the one with reversible doors to avoid having a fridge that cannot fit in the required space because of the door. Highly versatile, this under counter wine cooler can be used either free standing or in-built. 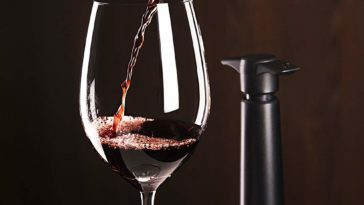 At 24 inches wide, it has a capacity of up to 46 750ml wine bottles, thus making it a great piece for wine enthusiasts. You can choose from two options: stainless steel or black depending on where you are going to put it. 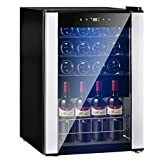 Temperature memory function: this dual temperature zone wine cooler allows you to store different types of wine behind one door. The upper part temperature ranges are between 5 and 12 ºC (41 to 54°F) while the lower part ranges between 12 and 18 ºC (54 to 64°F). A smart digital touch control panel is available for temperature adjustment. Double tempered glass door: keeping UV light out is the main purpose of the tempered double glass door on this under counter wine fridge. It also allows you to show off your wine collection clearly. Compressor fan cooling: a fan cooling management system is installed on this unit to help circulate cool air all around the under counter wine fridge. 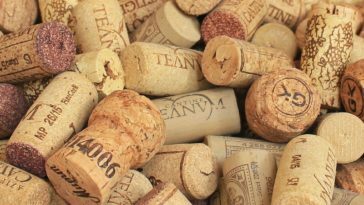 This helps keep a steady temperature and the humid air keeps your corks wet. 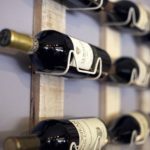 Beechwood shelves: sliding shelves made from beech wood hold the wine bottles in place. They also make it easy to retrieve a bottle when you need thanks to the sliding out feature. Security lock: the lock allows you to keep your collection secure away from unwanted guests. Two keys are available for the lock. 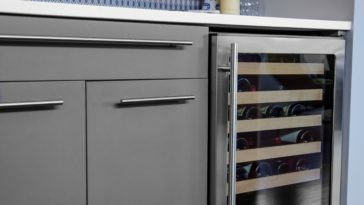 This under counter wine fridge can hold a large assortment of wines securely and safely thanks to its dual temperature zones and security lock. So if you need to keep unwanted hands from accessing your prized drinks, LANBO under counter wine fridge is definitely worth checking out. If you are looking for an under counter wine cooler that can store any type of wine, SMETA wine fridge should be among your top choices. It has a big temperature range that makes it ideal for storing all types of wines. You can even use it for other beverages. Smart control: this SMETA under counter wine fridge features an LED display that is touch enabled. This makes it very easy to operate. Large temperature range: with a temperature range of between 4 and 18 °C (39.2℉ – 64.4℉), this under counter cooler can store any type of wine whether red, white, or sparkling. Display and storage function: with a net capacity of2.1 cubic feet, this under counter wine cooler can store up to 19 bottles of wine. It keeps your wines cooled in addition to having an interior light that ensures your collection is visible. Compressor cooling: this provides a better airflow within the under counter wine cooler. It gives better cooling ability by blowing cool humid air in the cooler to maintain a constant temperature level. Moreover, it has a longer life span. Low noise levels: at 39 dB, the noise from this under counter fridge is almost non-existent. As such, you do not have to worry about it keeping you up. 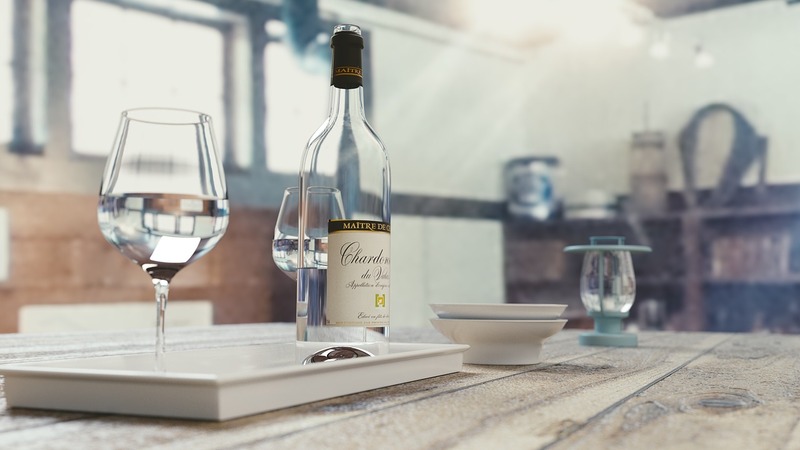 Are you looking for a piece that will show off your wine collection clearly while elevating the design of your space? If you are, add this under counter wine cooler to your shopping cart. Low noise, only 39dB. Great Mother's Day Gift. If you need a versatile unit that can work in different orientations, this Kalamera under counter wine cooler can be used either free standing or under counter. 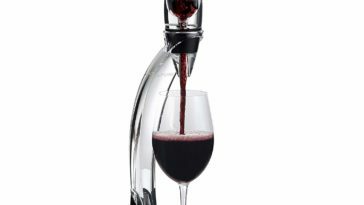 Its singe zone system allows you to keep your wines well chilled to the set temperatures. Multiple orientations: this under counter wine fridge can be used either built-in or freestanding depending on space availability in your home and personal preferences. 6 sliding wooden shelves: the beech wood shelves on this under counter wine fridge can hold up to 30 regular 750ml bottles. 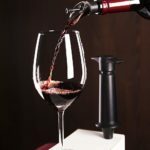 It can also store larger wine bottles. You just need to remove a shelf to create more room for bigger bottles. Smart temperature control: this under counter wine cooler features an LED digital temperature control for easy usage. 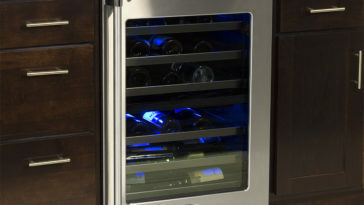 A blue interior light is incorporated on the inside of this wine cooler to show off your wine collection. Large temperature range: with a range of 40-66°F, this under counter wine cooler can be used to store any type of wine. In addition to boasting of great features, Kalamera brand is a leader in the manufacture of wine coolers. Highly functional and versatile, you cannot go wrong with this top rated under counter wine fridge. An under counter wine fridge is one of the appliances that you could use to store your wine suitably while improving the face of your house. My review features a buying guide as well as 3 of the best wine coolers right now. With it, I believe that you can now make an informed decision when choosing the best one for you. 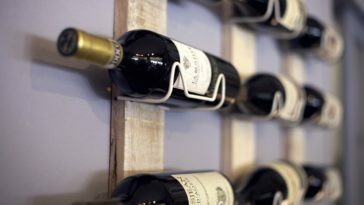 Whether you are looking to store different bottles of wine at a budget and in a limited space or you need to show off your wine collection in a classy manner, an under counter wine cooler should be at the top of your list.